It's not even a bold or futuristic thing to say. Machines will slowly replace all of us. It's who is next that might surprise you most. How soon and how fast is still up for debate. NPR has a great interactive article where you can see an estimate on how long you it might take to automate your job. Sadly these new truckers will not be as amazing as the transformers. All the advances we are seeing in self-driving cars has amazing commercial application in the transportation field. There are approximately 3.5 million truck drivers on the road today. The US and UK are already experimenting with this idea. A robot truck would never need to stop to rest. It's only reason to stop working is to fuel. Advances in the next 5-10 years should eliminate most of the long haul trucking jobs between cities. Leaving the human drives small 'city' or last mile drop offs. If you compare the number of humans on the floor of the New York stock exchange now and fifteen years ago, you'll see a shocking decline in humans on the floor. 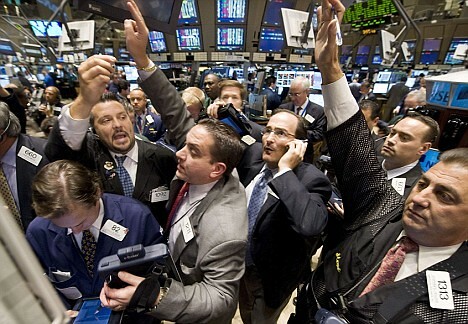 The people you see on the floor now are just supervising the computers that are now doing the majority of the trading. The next casuality on Wall Street will surprise you: Analysts. That's right, the big guys, college educated and making $300-$500k a year. Everyone on Wall Street has heavily invested in artificial intelligence and machine learning. They are starting to get the returns on their investments. An AI can easily crunch a company's financials, parse thousands of news articles all while monitoring social media and other trade data and instantly act on financial moves. We humans just can't keep up. There will still be a small number of analysts remaining at most firms, but you will see a drastic shrinking in their numbers on Wall Street. That's just a small sample of what jobs might be replaced in the next 5-10 years. Some estimates say 50%-80% of the existing jobs might be replaced. The retail and services industries will be the hardest hit. What this all means for society is up in the air. Distopian future? Creative utopia? Only we, not the machines, can decide that part.